The goal of workflow application scheduling is to achieve minimal makespan for each workflow. Scheduling workflow applications in high performance cluster environments is an NP-Complete problem, and becomes more complicated when potential resource failures are considered. While more research on failure prediction has been witnessed in recent years to improve system availability and reliability, very few of them attack the problem in the context of workflow application scheduling. In this paper, we study how a workflow scheduler benefits from failure prediction and propose FLAW, a failure-aware workflow scheduling algorithm. 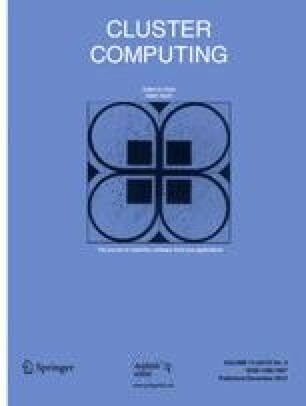 We propose two important definitions on accuracy, Application Oblivious Accuracy (AOA) and Application Aware Accuracy (AAA), from the perspectives of system and scheduling respectively, as we observe that the prediction accuracy defined conventionally imposes different performance implications on different applications and fails to measure how that improves scheduling effectiveness. The comprehensive evaluation results using real failure traces show that FLAW performs well with practically achievable prediction accuracy by reducing the average makespan, the loss time and the number of job rescheduling. This work is in part supported by National Science Foundation CAREER grant CCF-0643521.